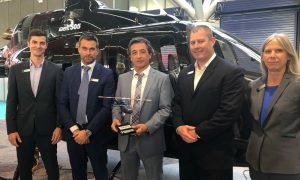 Bell Helicopter has announced the delivery of a Bell 429 to Heliand. The delivery took place at the Bell Helicopter’s Prague facility. The aircraft is configured to support Helicopter Emergency Medical Services (HEMS) and Search and Rescue (SAR) in Andorra. This marks the 20th HEMS configured aircraft delivered in 2017.